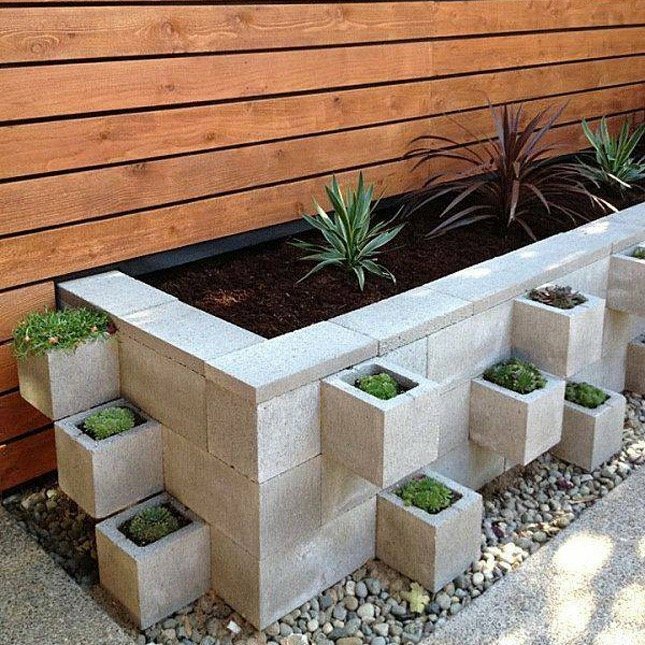 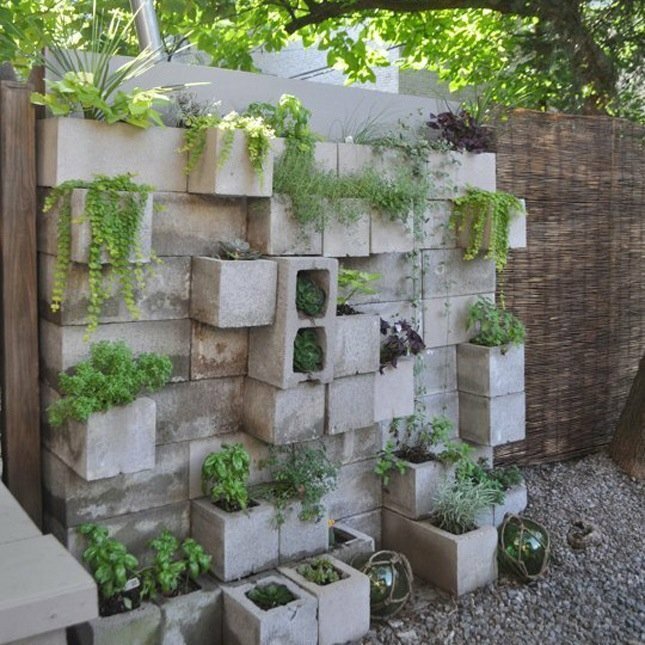 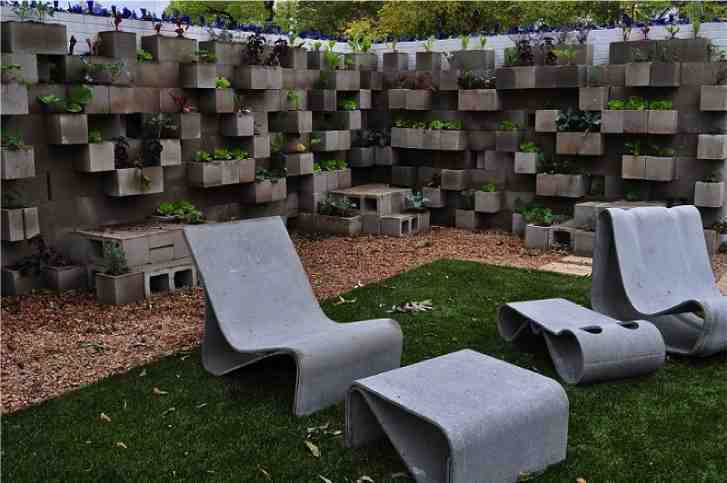 A Great and inexpensive way to spruce up a terrace or unusual corner of a yard is to use cinder blocks to form planters. 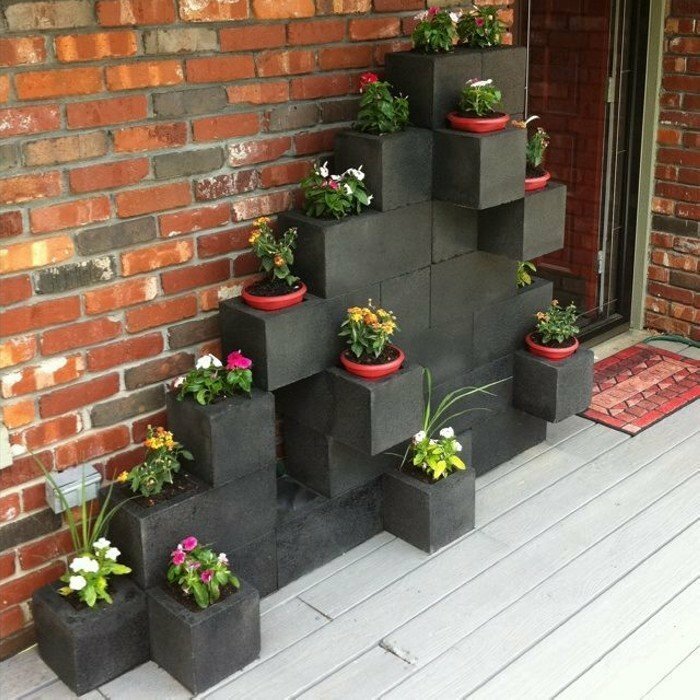 Depending on your style and level of creativity you can make and arrangement as simple or complex as you want. 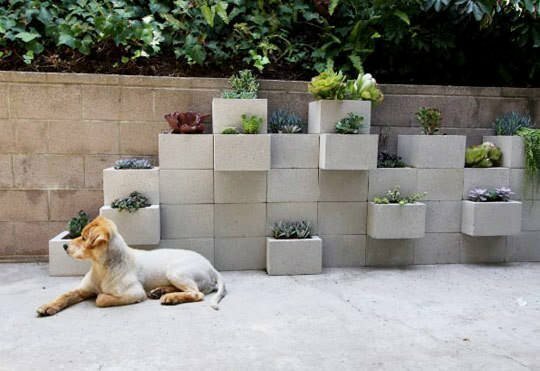 Perfect for succulent gardening or ferns in a more humid environment. 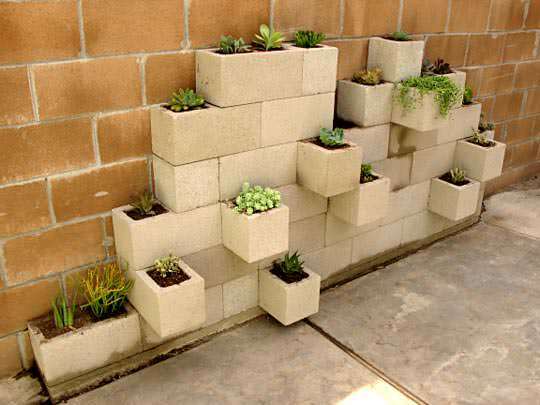 and of course your imagination!